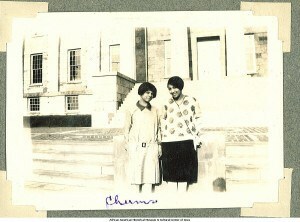 The Iowa Digital Library is fortunate to host the college scrapbooks of three University of Iowa students from the 1920s and 1930s, which provide views of the African-American community during their time on campus. 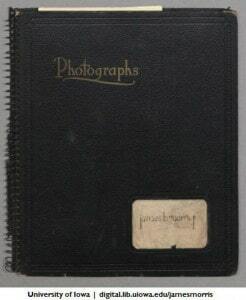 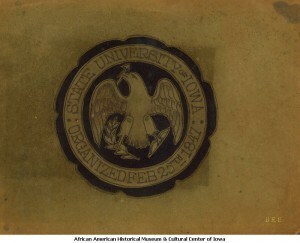 The Althea Beatrice Moore Smith scrapbook was added to the Iowa Digital Library thanks to a collaboration between the African American Museum of Iowa and the Iowa Women’s Archives. 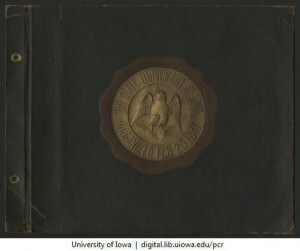 Hal and Avril Chase of Des Moines, Iowa, funded the purchase of this album for the University of Iowa Archives. 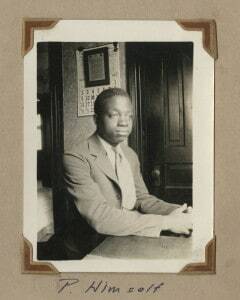 James Morris was the son of James Morris, Sr., a long-time publisher of the Iowa State Bystander, an African-American newspaper. 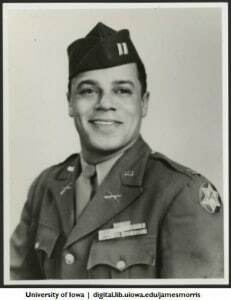 James Morris Jr. married Arlene J. Roberts Morris, the first African-American woman psychologist to be licensed by the Iowa State Board of Psychology.